Stores reference 27P/20. Circular tin with screw top lid. Approximately 8.5 x 2.5cm. 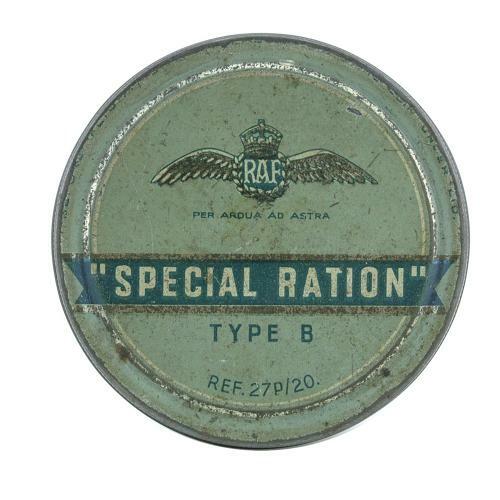 Originally contained boiled sweets, gum, tablets etc. Nicely decorated with RAF wings on both lid and base. Shows some wear with light scratching/paint chips etc. Quite good overall condition. Empty. Stock code S18851.